This Yankee Candle doesn't have a set 'name' but has some general "apple" related terms listed on it. They have a few variations like this available, but I've only seem them in HomeGoods and never in the actual Yankee Candle store. 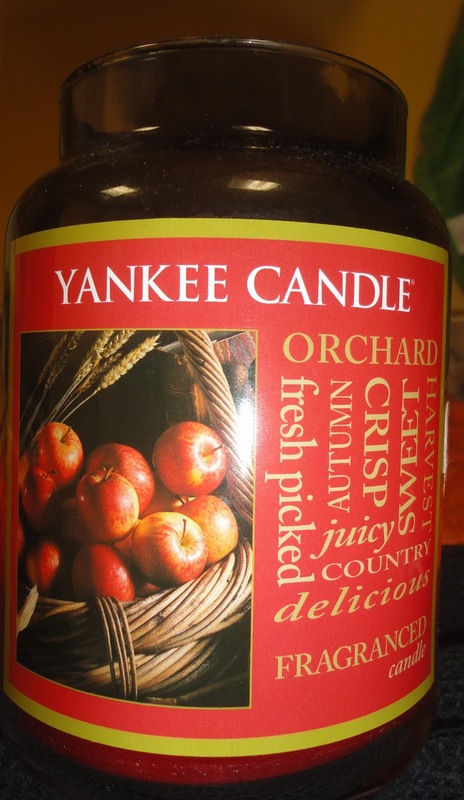 This apple scent is really nice and refreshing. It's sort of an Autumn scent but I like to use it whenever! A Messed Up Swatch for ya!